Claims: two counties in Finland. The Imperial Navy rules the North Atlantic! Economy stronger than ever, a major contribution to the happiness of the people experts claim. New insight on the imperial family. Duke Abraham sitting in his desk while going through his plans for the New Manhatten Project was interrupted by his secretary who was informing him request for a governor to meet with the duke urgently concerning a new contract. Duke Abraham soon set a meeting with the governor to discuss the new national contact. With all this being settled the duke continued looking at his papers and spoke to himself "With the current progress the cleanup for Manhatten should still be in the timeframe of 5 to 10 years. The Voyage After spending a couple of day in this new land I have been able to secure supplies from the locals it seems that we can now make the voyage back home from what I've seen so far I must say that this would be a perfect place to send more expeditions to rediscover the Netherlands or at least what is left of it. 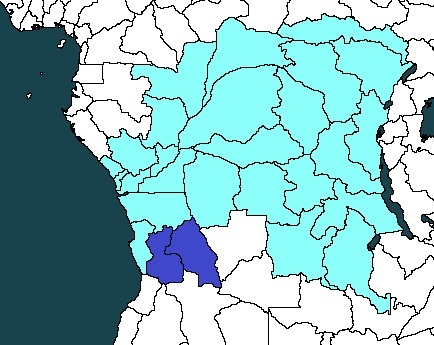 The Republic's annexation of Angola continued that season. After all, resources were vital to a growing industrial base, and Angola had plenty of those. Oil in particular was very much needed, though diamonds and metals were welcome as well. In addition, living space and land for agriculture was a welcome addition to the growing Republic as well. Thankfully, Angola wasn't devastated that much during the previous wars, and thus plenty was left for the Republic of Kinshasa. Aside from that, though, there wasn't much to report. Production was steadily increasing, but nothing of note was to report. The same went for the current ongoing military expansion. In any case, it was a quiet season, and President Samuel Lumumba liked it that way. All posts are OOC unless specified otherwise. All posts are to be treated as sarcasm unless specified otherwise (does not apply to roleplay and OOC threads). Amateur roleplayer and aspiring computer programmer. Persia is being led by a man claiming to be a direct descendent of Cyrus the great. He claims that the original came to him in a dream, commanding the founding of a New Persian Empire. Although not all there in the head, he makes up for it with his charisma, and delivery of speeches, this was his address to a local settlement. Gentlemen, you stand here against the world and harsh deserts alone! Do not be so foolish! 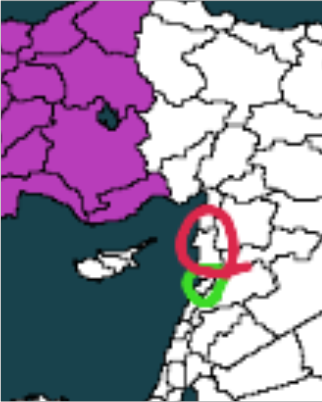 Join I Cyrus the second, join the Persian Empire! No longer stand alone squabbling for food and water, join the empire. No longer worry about whether you will eat tonight, or what lies beyond your walls. Only worry about those who are not fortunate enough to join us yet, and help us assist them in doing so. If you don’t join for yourself then do it for your family and your friends, who will never know what it is like to sleep outside or on an empty stomach again! Last edited by NewPersianEmpire on Tue Apr 16, 2019 9:43 pm, edited 1 time in total. The Dragon City, better known as Taiyuan, has been taken over. Once a big manufacturing city, home to about 4 million people before the bombs dropped, had the luck of not being hit by an atomic bomb but they were, however, targeted by a normal bomb, probably sent from the former North-Korea. After the troops have secured the city, officials will judge every factory and its machines to see if they could be used again, recycled or just left behind. 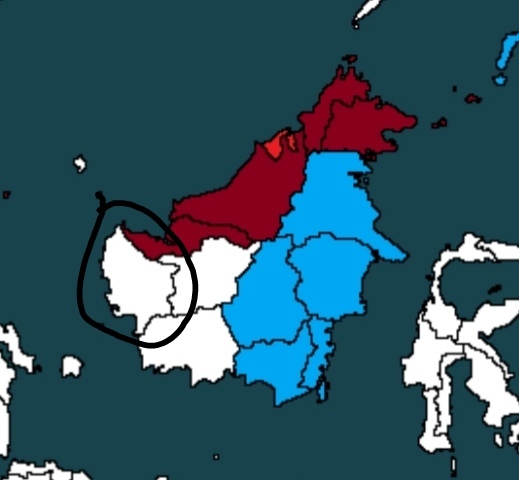 In other news, the Kalimantan island will be under our governments control in a few days, when the army has secured every town and has found no danger to inhabiting that part of the island. New plans have shown that afterwards, the army will be sent to northern Sumatra to push south on the island and slowly conquer the island. The port of Pontianak on the western shore of Kalimantan will play an important role in supplying the soldiers when they arrive in Sumatra. Last edited by Asquran on Tue Apr 16, 2019 4:39 am, edited 1 time in total. Claim: Last two counties in Finland. All of Finland retaken from the wastes. Major celebrations break out across the country as the whole of Finland has been retaken by the empire. Empire sets its eyes on taking the last of the promised Russian lands. Nordiska's Port Imperial experiences enormous growth in trade, the economy grows. ''The officials in Djibouti have given us the information that several warships from the nation of Nordiska have traveled from their nation to Macau, a port city located near Port Royal, in hands of Letderan. They want this Asian city because they want a outpost in Asia, and gave it the disgusting name of 'Port Imperial'. Our continent has been plagued by European settlers for a long time and their meddling with the Asian land, resources and its people have given the continent deep scars, some visible to this day. Their colonies on our continent have caused many problems and their meddling in our political situations have created situations that divided families, such as the splitting of the Korean peninsula, engraved in the minds of the people of The Korean Supremacy. To get to the point, we, the government of the Korean Supremacy, disapprove of the colony and give The Nordiskan Empire the ultimatum of two months to withdraw their people from Macau. If this ultimatum won’t be respected The Nordiskan Empire will be met with diplomatic actions, such as, but not limited to, taxing all imported goods from The Nordiskan Empire and stopping most of the export to The Nordiskan Empire from our nation. Last edited by Asquran on Tue Apr 16, 2019 7:32 am, edited 1 time in total. The Ultimatum of 'Port Imperial'. "Ladies and gentlemen of the Nordiskan Empire." spoke the Emperor through the speakers located around the country or just through the speakers of tv's. "We have been presented with an ultimatum by The Korean Supremacy. It states that if we do not leave Macau, also known as Port Imperial, that we shall have to endure trade embargo by them. This ultimatum states that Europeans have no business in Asia and that we have already damaged the continent enough. I speak to you today, to ensure you that this racist remark shall not go uncontested. We shall not simply leave Macau. We have treated the population with the upmost of respect and have rebuild the city in record time. The Supremacy may try, but shall receive nothing from us. War is not out of the question, I ask you to prepare, to serve, however, the Korean dogs shall never reach our homeland, ever. We as an Empire have a right to mind our own business, violation of this shall lead to retaliation, as we shall counter with the exact same sanctions the Koreans will, should they enact upon them. Thank you for your time." the Emperor finished. Last edited by Samnordisk on Tue Apr 16, 2019 7:53 am, edited 1 time in total. Yammamoto on the issue of Korean-Nordic crisis. "We have issue with the nation of Nordic, denying our allies just cause, and having our people within yet another state, and this one unfriendly. We shall keep the Confederation away from our past, and like the rising sun. Burst through the ash and crush those who seek to do harm"
'That wasn't necessary...' Cassius said, flanked by two of his personal bodyguards, veterans from the Roman Civil War. He eyed the iron titan before him, as it stood on the mutilated body of a tribal.The masked creature tilted its head slightly in amusement. 'Did you not see him? He was blaspheming' Czernobog said mockingly. Czernobog laughed gratingly, the distortion of his mask contorting into an almost ethereal sound. 'You are still a guest in my masters domain, Roman, do not forget that' he said as kicked aside the limp corpse. Cassius stepped forward, 'Hold your tongue beast! I won't be insulted by the Tsar's pet' he spat. 'Oh come now, were it not for the Tsar's generosity, you would be another body in that city' he snarled. Last edited by The Iron Tsardom on Tue Apr 16, 2019 8:08 am, edited 1 time in total. 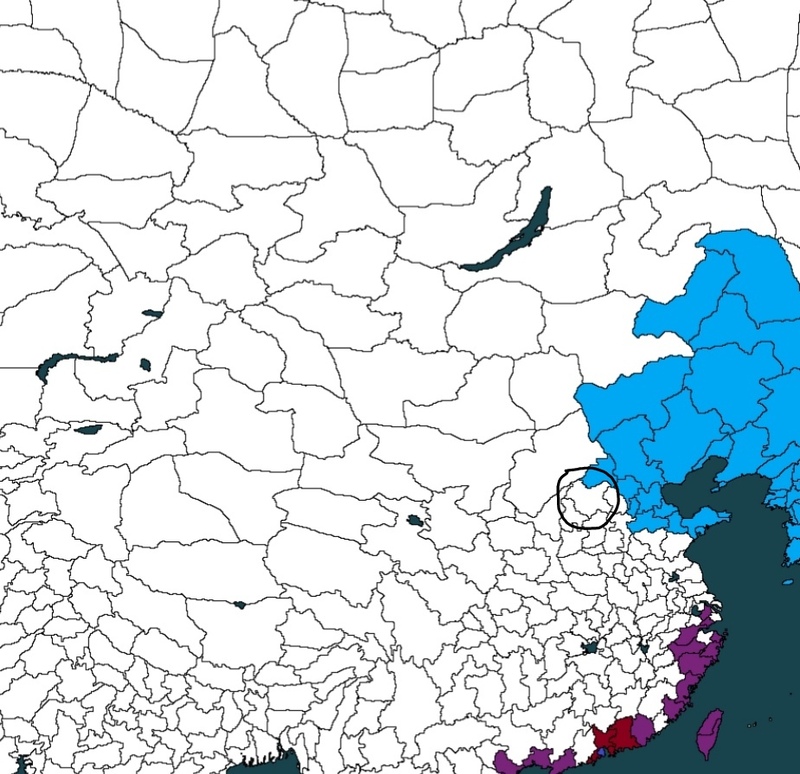 The Port Imperial conflict - what side will Rome take? Through the irradiated Tehran, Cyrus the Second raises an army. It is meager, and untrained, but the force of it is still enough to coerce settlements into joining him if diplomacy does not work. They are more disciplined then they are ready for war. If an area seems unruly, Cyrus will march leading them through the city, each soldier stepping in unison, guns polished, even if not all of them know how to use it. Following behind is a small array of fixed up cars and motorcycles, utilized in whatever way possible. Surely none of you are foolish enough to step out against us and our army in this grand quest, after all, we lead you all into a new golden age! "It seems we have no other choice..." emperor Philip sighed. "Reach out to the Teutons, they'll want to know about this." "Good morning ladies and gentlemen of Nordiska. I come to you today to inform you about the governments next couple of actions. We have decided, seeing as tensions are rising in Asia, to seek out more trade partners of our own. We have informed the Teutons of this. Send ships to seek out the America's and Africa. We want to set up an Atlantic Trade Agreement with them, we only seek to be friends and trade partners. As for Europe itself: we have already invited the Teutons and Romans, as for any undiscovered nations, should they be discovered, they shall be invited to join as well. As for the elephant in the room: we are seeking new contact with the Russians. It is time to make amends with them, should we want to stand strong and survive in this world. We have proposed talks to Tsar Rurik about restoring the Nordic-Russo relations. That is all I have to say, thank you for your time." Philip spoke through the public speakers throughout the country. Last edited by Samnordisk on Wed Apr 17, 2019 2:25 am, edited 1 time in total. “Attention! People of Letderan, recently controversy has occurred among our Korean allies and the Nordiskans, and it revolves around the city of Port Imperial. Which was formerly known as Macau, and sits rather close by to Port Royal, many residents of Port Royal were greatly disturbed when the Nordiskans had moved right next door. Fearing for their own safety, although fears have died down since then reports show that many among the dominion show great worry over the controversy. Believing that it could possibly spill into all our war between the two powers, leading to many among Port Royal to call for further actions to be taken in order to secure its safety which led to the military to increase the garrison of the area greatly. In order to ensure the dominion’s safety if the worst were to come, the government themselves have yet to make official comments on the situation and while they’ve made no official announcements upon it. They have been working with the Koreans on military exercises at sea, and the idea of possibly throwing support for the Korean’s has been something many political parties have promised. In other related news, business imports and exports to and from Port Imperial have slowed down greatly, this being done by businesses of their own free will in order to grow markets in China, Japan, and Korea. 1. All exports from The Korean Supremacy to The Nordiskan Empire will be halted. 2. No goods or services will be imported from The Nordiskan Empire. 3. No Nordiskan ships are allowed to stop in Djibouti, thus resulting in them either having to refuel and restock in the smaller ports in the Suez or the Maldives, for a big port like Djibouti they need to sail towards Singapore or The Roman Empire. Not being able to stop in Djibouti will also result in that The Nordiskan Empire and its ships can't buy goods in Djibouti and can't trade with other merchants there or reach the warehouses that any Nordiskan merchant may possess in Djibouti. 4. The Serican-Chinese Confederacy and Letderan have agreed to also stop all importing of Nordiskan goods and exporting to the Empire of Nordiska, resulting in the Nordiskans not being able to trade in Asia. 5. No Korean ships will stop in Macau and no goods that traveled through Macau will be bought in our country. Our allies will do the same, rendering the port useless and losing profits. Emperor Philip approached the stand, walking down the stairs of the Imperial Palace to speak to the (international) press and the people. This is what Tsar Nicholas II telegraphed Kaiser Wilhelm II just before the first World War broke out and it looks like we might be facing these situations again. Therefore I ask the allies of The Korean Supremacy, stop your ally from going to far. So far we can say that the Eurasian Commonwealth has been profitable for us all, why are we ruining it with such a needless conflict? Our stance Macau, however, remains the same: we shall not abandon what we have rebuild, invested in and have cared for. To the people in Port Royal and in the whole of Letderan, we mean no harm and are doing what we can to assure this conflict does not turn into a war. As for the sanctions opposed by the Koreans, we shall not change our stance on the matter. I must apologize for the words I spoke about the Koreans, calling them dogs certainly does not quell the conflict. I would like to turn to their government however, just because some silly insult, doesn't mean you are in the right in these situations. Instigating such conflicts will always prove you are wrong, but who's right and who's wrong doesn't matter now, what matters is that we stop this from going too far. Again: we mean no harm. I will speak of the other affairs concerning our actions continuing forward with the ministers shortly after this, our landings in Thailand shall be prominently mentioned in those talks. Thank you for coming and for your time." he spoke. Meanwhile in Port Imperial, the carrier S.S. Helsinki, tasked with guarding parts of the empire in the east. received their orders from Stockholm. Not soon after, a small frigate made its way over the seas to Port Royal, to inform that the Nordiskan government was trying its hardest to avoid this conflict from turning into a war. The army has been pushing further into China and taking town after town, helping the people who have survived and salvaging any materials. The greater news take place further south, where the navy has arrived on the shores of northern Sumatra. 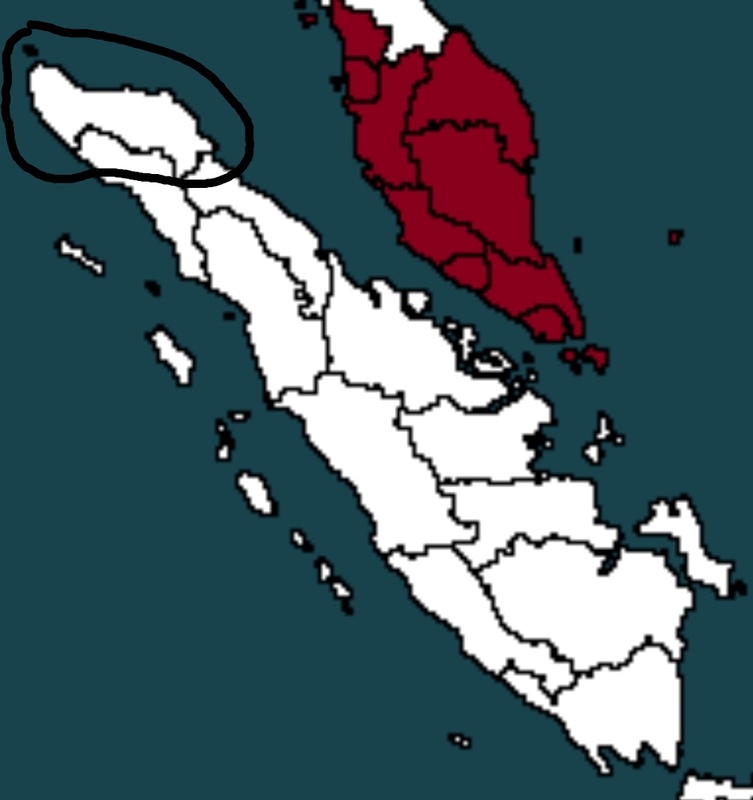 They set afoot on the port of Krueng Raya, related to the city of Banda Aceh. The port would be rebuild and become a big city on the sailing route from Europe to Asia. Sadly, most of the towns on northern Sumatra were hit by tsunami's after the nuclear bombs dropped and most of the cities were in ruins, the people who were found where more than happy to be able to live somewhere else and chose to come to mainland Asia. A couple mines were located on this part of the island and inspectors will come to see if there are still minerals in the ground. In other news, our country has done a grand military exercise with Letderan so that both navies will know what to do if they would engage in a war together, this exercise took place close to Port Royal. Last edited by Asquran on Wed Apr 17, 2019 7:53 am, edited 1 time in total. Will the Port Imperial incident cause a war? Last edited by Publectia on Wed Apr 17, 2019 7:51 am, edited 1 time in total. "Ladies and gentlemen of Nordiska. I, emperor Philip speak to you publicly to inform you of recent events in the Port Imperial controversy." Philip spoke through the speakers. "They have heard of our landings in Thailand and as a response have landed in Sumatra, their navy on edge. We can sense the aggression directed at us, however, we shall avoid conflict. The soldiers that landed in Thailand have set to work on securing the claimed land and are working on a channel to go through the land, which will be used for Nordiskan ships, mostly the navy to avoid misdemeanors in the future. We have also sought out the local population to come into contact with each other. We are trying to inform them of the situation and that we are trying to establish a co prosperity sphere with them. It seems that not a lot of reparations have been done to the country and we are trying to help them. They shall become a special municipality, just like Port Imperial, in the Empire. No forced labour, slavery or any kind. Only a hope for a better future." the speakers cut out and everyone returned to their daily activities. Bahamas and Puerto Rico are under our control! Today in the Dukes Mansion, Duke Abraham and one of the Governor from the frontier held a meeting on a new contact which from what we have gathered is known as Sercia the meeting is also expected to have several head advisors and high ranking generals to discuss the national approach on this new nation. From what sources say there was a sighting of three individuals all which considered themselves rangers when they stumbled in one of New Netherlands frontier towns they were greeted by the local sheriff. Due to the language barrier communication between the sheriff and the rangers was difficult although luckily it appears the rangers understood the old language of English which was easily translatable into dutch. It appears the next day after the Governor of the province went to the village to confirm the sheriff's report and he then soon held a conversation with the three men who explained their culture, Nation, and the geographic location. From the unconfirmed sources, we have found it appears that the nation of Sercia is located in the Japanese isles and appears to have several colonies in the Americas. It remains to be seen how the dynamic between New Netherlands and Sercia will unfold. We are currently high on morale and as it seems some of the sailors on board appear to be incredibly eager to see their wives and children as for me however I am much more excited to inform the duke on this island and see if we can formally integrate it into our great nation. After halting the expansion last season in order to consolidate the Republic's territories, further parts of Angola were annexed to become part of the newly created Angolan territories. President Samuel Lumumba, in an official press conference today, praised the actions of the Armed Forces' expeditionary forces in further claiming land for the expanding Republic. President Lumumba later announced his plans to fully annex the remaining territories of the former Republic of Angola. According to official government sources, the reason for claiming Angola was because of its rich resources. 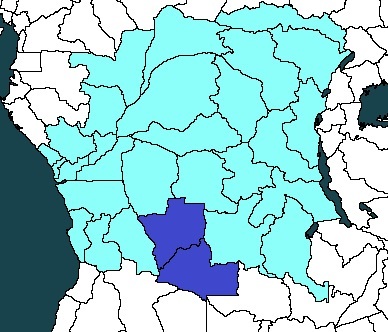 Despite the previous exploitation of the land prior to the Nuclear Apocalypse, it is believed that substantial resources still remain within Angolan land, and it is hoped that these resources would still be exploitable in order to power the Republic's growing industrial capabilities. That's all the news we have for today. Trade sanctions wound the empire. The trade sanctions imposed by the Koreans, Japanese and Letderan continue to weaken the empire. But, the empire holds on to its just cause of the co prosperity sphere as more of Thailand becomes part of the empire. Delusional Letderan politician insults the empire. Delusional Letderan parliament member claims that military action and starvation tactics should be used against the empire. The emperor has responded to these crude remarks with: "It can't be helped we suppose. He has the right to say whatever he wants, but that doesn't mean he's right. Luckily, the rest of the Letderan government knows not to go to far. Truly the best for Britannia is to not make enemies." Military activity spotted close to Port Imperial! 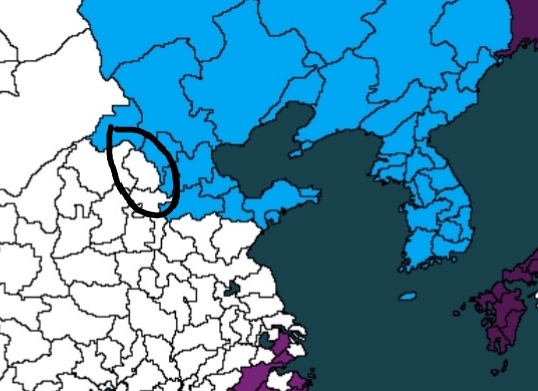 Official military reports state that the Korean and Letderan navy have been active just outside Ports Imperial and Royal. "All a bluff!" claims retired veteran Lundvik Strømvager. "It's obvious that they're not only using sanctions to try and coheres surrender of our territory, but also try to intimidate us." 'Shapeshifter' by Joker becomes a top hit on the Nordiskan top radio stations and music providers. 'Shapeshifter', the song written and sung by popular pop artist Joker, becomes a top hit across Nordiska. The lyrics don't really blend in with the tone, but rather give a more mysterious vibe. The instrumentals are opposite of the text, more upbeat beats and violins, truly a challenge to make collaborate. A modern masterpiece. What does the future of the empire hold? Octavianus has escaped outside the empire - what will wait him there?